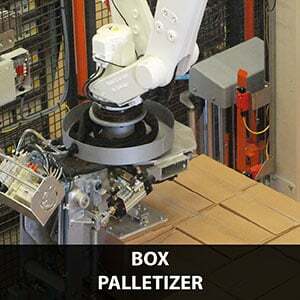 ROBOVIC offers a complete range of palletizing solutions to meet every client’s specific needs. Our systems have been used in several fields of activity. 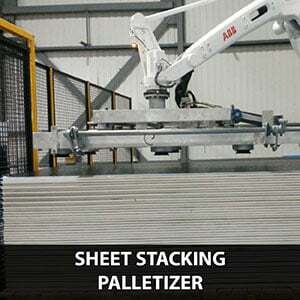 We currently offer 4 different palletizers: Box Palletizer, Bag Palletizer, Milk Crate Palletizer and Sheet Stacking Palletizer. We’ve worked for over 30 years in various activity sectors such as: food, industrial, chemical, consumer goods, construction and aggregate. This experience has allowed us to develop solutions with high level precision and high quality expertise. Our systems can reach up to 30 bags or 60 boxes per minute. Production speed can be increased by adding a second robot to the cel. Robovic’s unique angular deposit places and deposits various products with accurate precision. This innovative technique of compressing the product optimizes the stacking dimension by more than 10%, thus reducing random positioning and producing sturdier stacks. 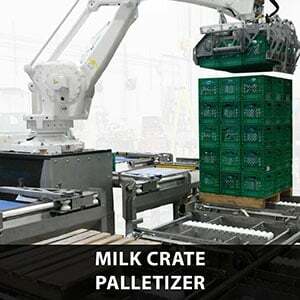 The flexibility of our operator interface makes it possible to modify, add or adjust the palletizing pattern in accordance to needs at any time. It is possible to change products independently based on production needs. A brief training will help in programming the operator interface independently. 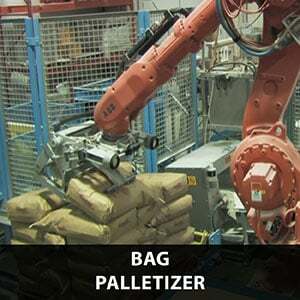 Once the robotic palletizing cell is installed, it is easy to adapt and evolve with additional needs. The system can adapt to various environmental and production changes, without causing long downtime or expensive investment. 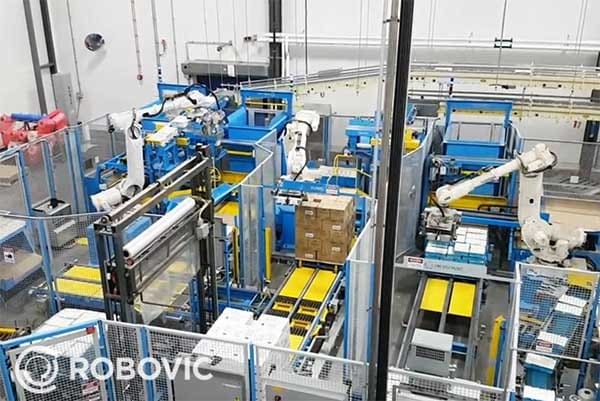 Whatever the scope of your project, Robovic can provide versatile and efficient palletizing solutions. To date, the company has developed more than 500 automation projects which reflects Robovic’s experience and knowledge acquired. Our wide range of sectors has provided the expertise to achieve the best combination possible.